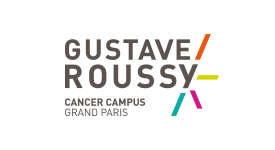 When you browse this website, Gustave Roussy gathers some of your personal data and uses it as data processing manager. Why do we gather some of your data? Make your browsing on our website an outstanding experience: adaptation of the display to the terminal being used, detecting the user language, storing your preferences, etc. Offer you sharing functions on the social networks. Provide optimal video display on your terminal. Carry out statistical analyses of the visits to our website and thus optimise it. Copy of your valid identity card or passport. Some data is collected automatically when you visit the website, by means of cookies. A cookie is a small computer file that the server sends from an Internet website and which is recorded on your computer, tablet or smart phone. The essential purpose of cookies is to gather non-nominative information about your browsing: electronic identification data (IP address, geographical zone), data about your activity on our website (visited pages, visit settings etc.). The cookies are managed by your Internet browser. Third-party cookies for audience measurements (Google Analytics). Third-party cookies intended to improve the interactivity of the website and its multimedia content (YouTube, Facebook, Twitter). These social networks may gather information about your browsing on our website and associated with the personal data that they already hold. We advise you to consult the private life protection policies of these networks to find out about the purposes for the use of your data that they gather using application buttons, in particular for advertising. These protection policies must enable you to make choices in these social networks, by setting up your user accounts on each of these networks. How can you refuse the cookies? You can oppose the recording of the cookies by setting up your browser. On what legal grounds is the processing of your data based? Maintained legitimate interest in depositing and managing functional cookies to ensure the optimal running of our website. Improve browsing, content and interactivity of our website (Google, YouTube, Facebook, twitter). Hosting on our website (OVH). We agree not to share these data except with these service providers. We make every effort to not to preserve your personal data for more time than needed for the goals described here, and to conform to the stipulations of the applicable law. The data collected by cookies are kept for 13 months at the most. Data other than those collected by the cookies are preserved for 3 years after their collection. In accordance with the general regulation concerning data protection, you benefit from right of access, correction, opposition, deletion and portability of your data. By post Institut Gustave Roussy, Délégué à la protection des données, Direction de la transformation numérique et des systèmes d’information, 114, rue Edouard-Vaillant, 94 805 Villejuif Cedex – France. 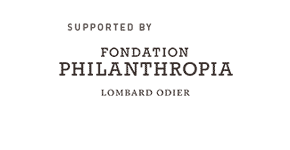 If you are not given satisfaction, you can also make a claim through la Commission Nationale Informatique et Libertés (CNIL) (French Computer Data Secrecy Board).